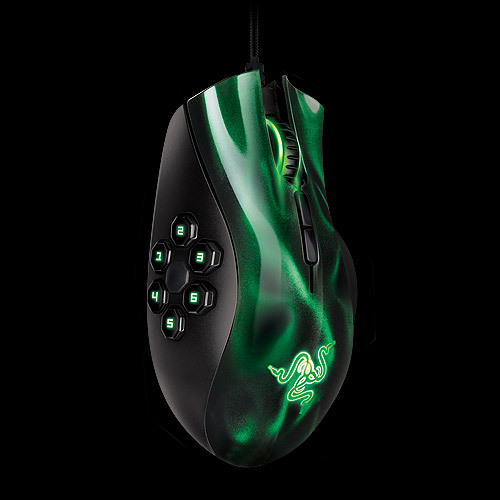 Gear up with the right items and dive into combat fearlessly with the Razer Naga Hex MOBA and action-RPG gaming mouse. 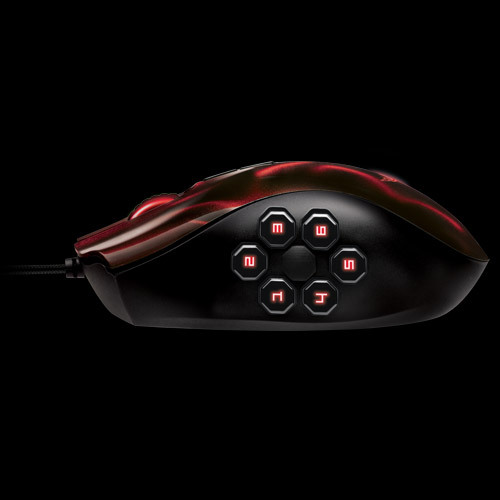 Instead of the award-winning 12-button thumb grid MMO gamers have come to love with the Razer Naga, the Razer Naga Hex features 6 large thumb buttons optimized specifically for MOBA and action-RPG user interfaces. Spells, abilities, and items from these games can be mapped directly onto the 6 thumb buttons for extraordinary game control. Validated with some of the top MOBA pro-gamers in the world, the Razer Naga Hex’s 6 thumb buttons are designed in a mechanical key infrastructure to provide faster key actuation. This gives you the edge to attack quicker than enemies can react, necessary to winning in high-pressure battle arenas. 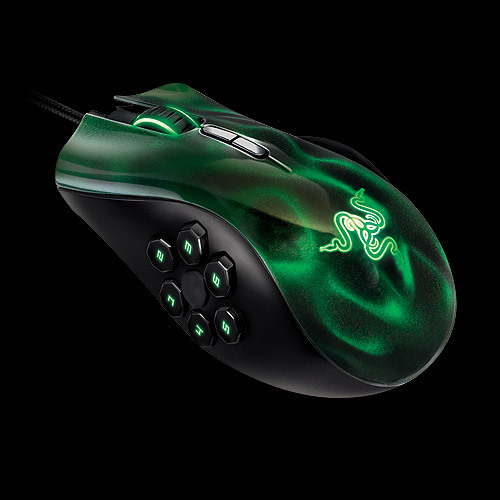 Harass the enemy, farm end-bosses, and hack n’slash for longer in comfort with the ergonomic curved design of the Razer Naga Hex, as designed by some of the world’s top ergonomic engineers. 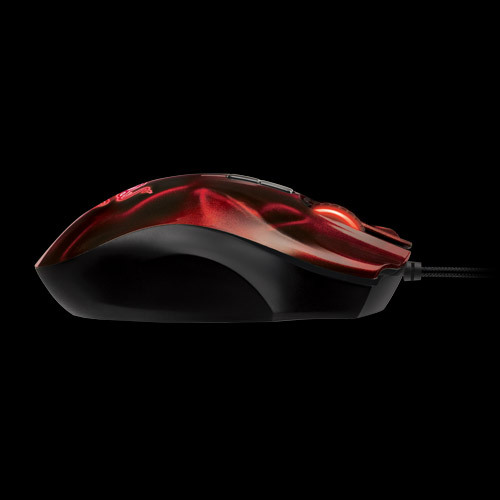 This gaming mouse has proven to minimize fatigue during extended periods of play whether at home or at competitive tournaments. 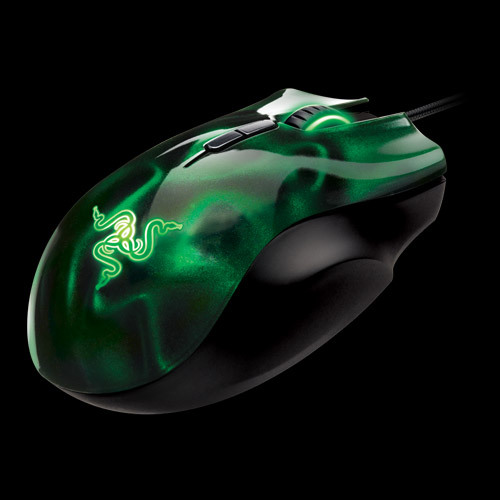 The Razer Naga Hex is powered by the revolutionary Razer Synapse 2.0 service, a cloud based software pioneered by Razer, designed to store your personal mouse settings and preferences on remote servers so that they are accessible to you anytime, anywhere*. 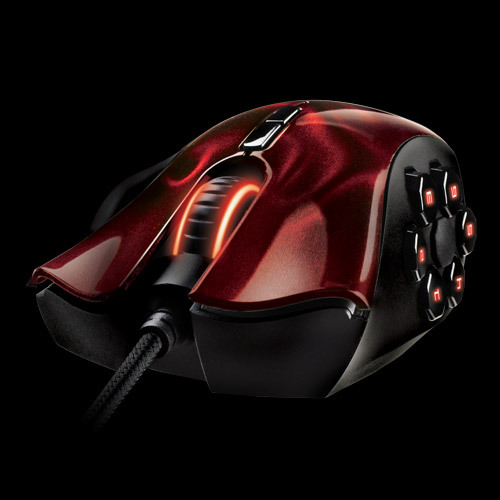 From the makers of the world’s most powerful MMO gaming weaponry comes the world’s most powerful MOBA/action-RPG gaming mouse. Get Imba!